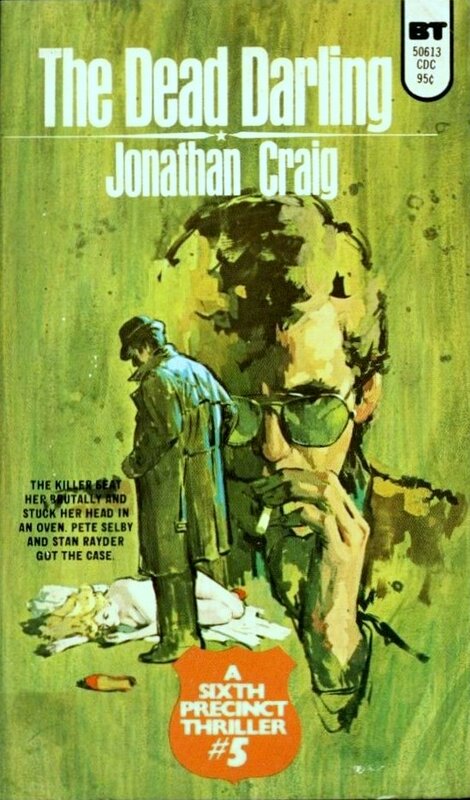 The Dead Darling, by “Jonathan Craig,” aka Frank E. Smith (Belmont Tower, 1973). This novel, originally published in 1955, was the first entry in a 10-book police procedural series. 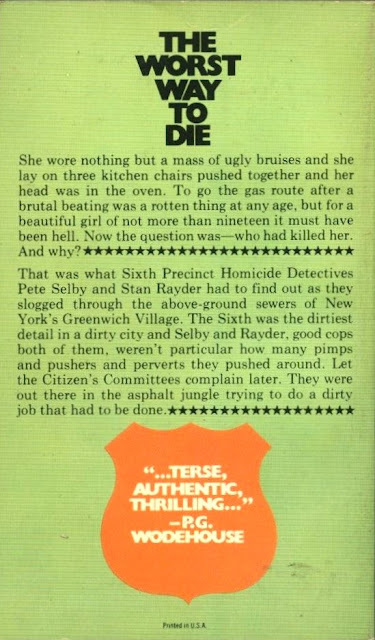 Centered on New York City’s Sixth Precinct, the series starred homicide detectives Pete Selby and his partner, Stan Rayder. Cover illustration by Robert Maguire. READ MORE: “Pete Selby and the Sixth Precinct: A Paperback Warrior Primer,” by Tom Simon (Paperback Warrior). I don't remember these at all, but I sure like that cover.